Respironics, one of the leading manufacturers of oxygen concentrators, is at it again! 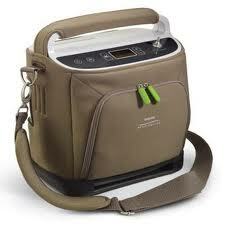 This time with their brand new, 5 pound portable oxygen concentrator the Respironics SimplyGo Mini. As the latest innovation from Respironics, the SimplyGo Mini has been turning heads since it was debuted at Medtrade in the spring. In fact, it won best new portable oxygen concentrator at the HME 2015 conference this past October. The overall quality of life can be drastically improved with the help of a portable oxygen concentrator in patients that suffer from chronic obstructive pulmonary disease (COPD). When looking for a portable oxygen concentrator there are a few things that must be taken into account, first is will a certain concentrator fit your oxygen requirements, and do you have a prescription? What I mean by this is will a specific oxygen concentrator keep you properly saturated by delivering a flow rate that meets your prescribed oxygen requirement during all types of activities? 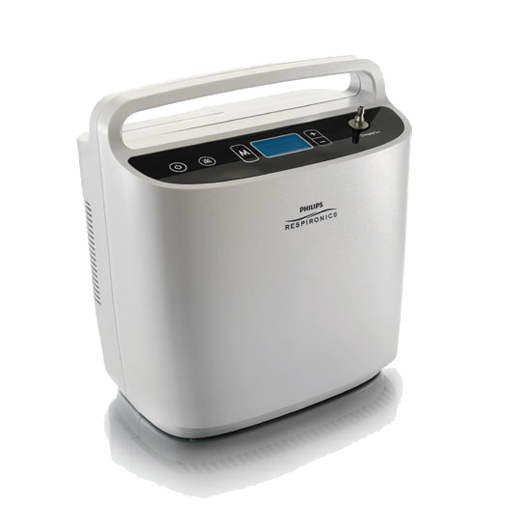 At 10 pounds, the Respironics SimplyGo was the first continuous flow portable oxygen concentrator to weigh less than 15 pounds. The standard package for the SimplyGo comes with 2 external batteries, but when the SimplyGo was designed, it had the capability of housing one battery at a time. Unlike its predecssor, the Respironics EverGo, which could house two battery at a time. Many patients have asked us if ther was any way they can use two batteries at once. In the past we had to unfortunately tell them no. However, Respiornics was hard at work developing the Respironics SimplyGo External Battery Module.